Ever since I broke up with pasta a few years ago; I've not been eating much basil pesto. I tend to exclusively associate the two together, (pasta + pesto) but that's just silly. 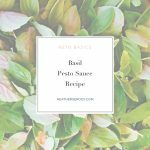 Basil pesto is delicious served as a dressing or dip with almost any roasted vegetable you can think of or as a condiment to your lean protein. I especially love it drizzle on top of hard-boiled eggs for a protein-based mid-afternoon snack. 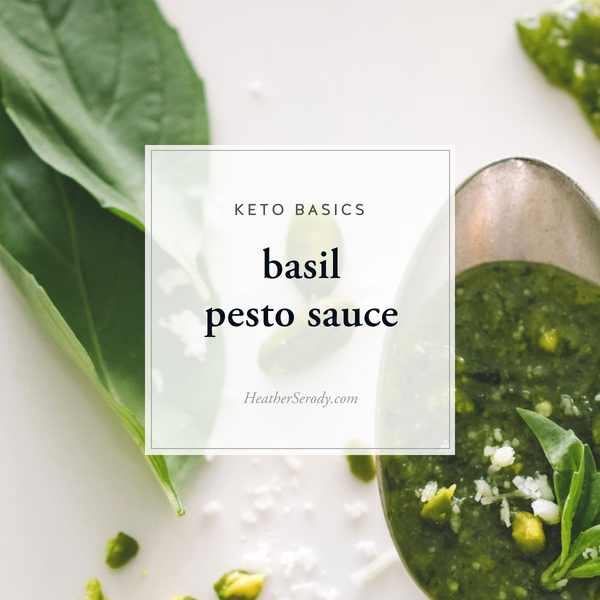 It's naturally low carb and high fat, so it's a keto basic recipe that's great to have on hand. Use it in place of mayonnaise and you pretty much can't go wrong. plus some minced garlic and sea salt to taste. You may omit the parmesan cheese if you eat dairy-free. I promise you won't miss it, and the best part is that you get even more fresh basil flavor without it. In the bowl of a food processor, combine nuts, and garlic until finely ground. Add the basil and pulse until combined. Add EVOO, parmesan, and salt next and mix until emulsified. Taste for seasoning and adjust salt if necessary. Keep covered in the refrigerator for up to one week. 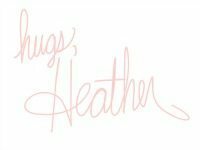 If you enjoy healthy recipes like this one and are looking for additional resources and tools to get healthy and feel better in midlife, I invite you to join the tribe. When you join, you'll get the support, resources, and tools you need to feel good again. The Guide To Thrive is your free gift for joining. It includes the 5 most effective tips to jump start you to feeling better fast. Join the tribe HERE.